These oven roasted vegetables are a staple at our house. Both broccoli and cauliflower are healthy, cruciferous vegetables that should be included in every diet. Two great ways to cook your vegetables without depleting their nutrients are steaming them or roasting them in the oven. Sometimes to add some variety, I add mushrooms, red pepper and/or asparagus to make a colorful vegetable medley. 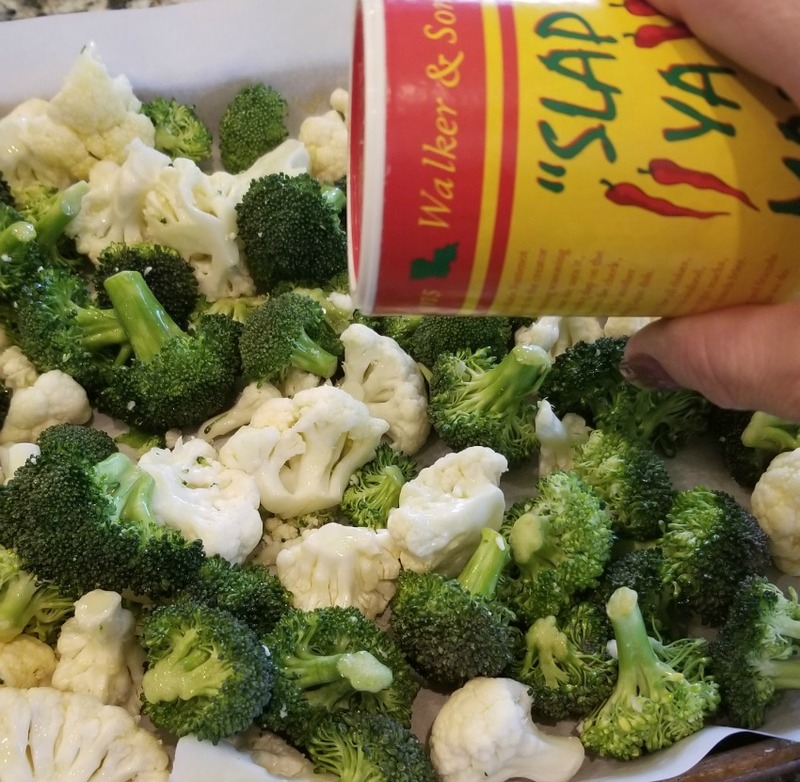 Step 1) Empty both bags of broccoli and cauliflower in a large bowl. 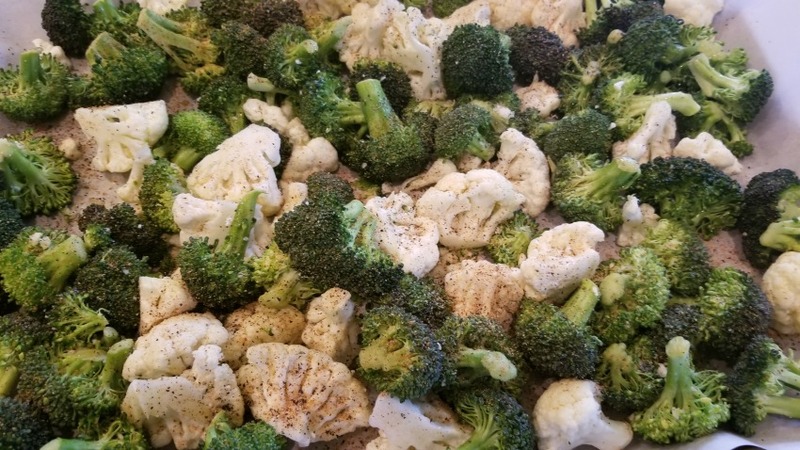 Step 2) Drizzle olive oil over broccoli/cauliflower mix and toss to coat. 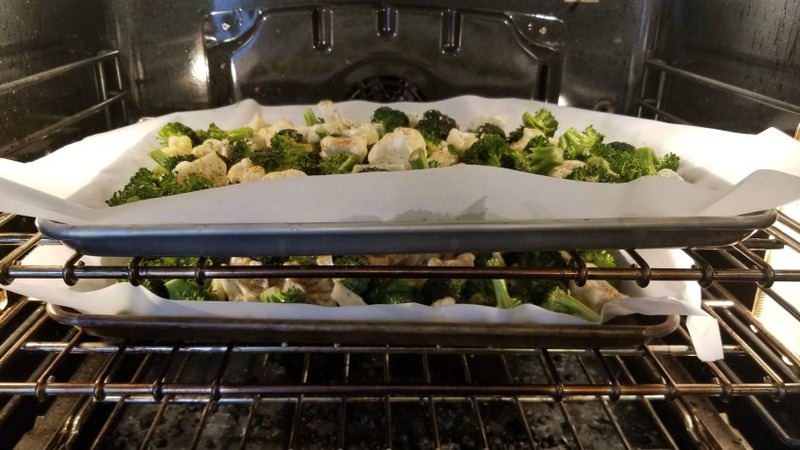 Lay it out on a parchment paper-lined baking sheet. Step 3) Sprinkle generously with this cajun seasoning. 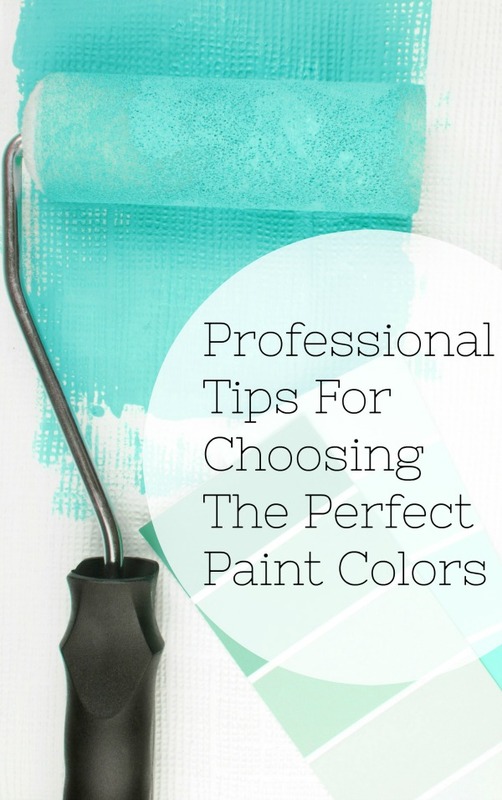 If you’ve never tried this, you are missing out…it’s one of my favorites! Step 5) Bake at 450 degrees for 20 minutes, turning at the halfway point. Step 6) Remove from oven and serve with butter if desired. 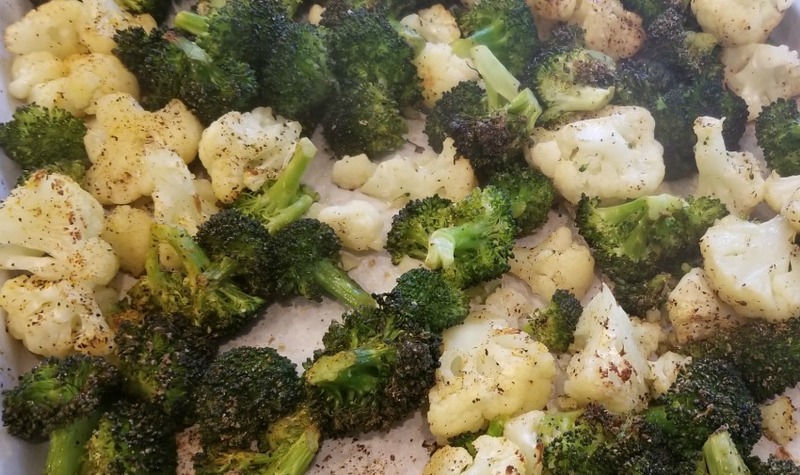 I make several trays of these oven roasted vegetables as part of my meal prep each week. They keep well in the refrigerator and reheat well with a pat of butter. I usually serve this with grilled chicken or my favorite salmon recipe and a salad. These oven roasted vegetables are a staple at our house. Sometimes to add some variety, I add mushrooms, red pepper and/or asparagus to make a colorful vegetable medley. 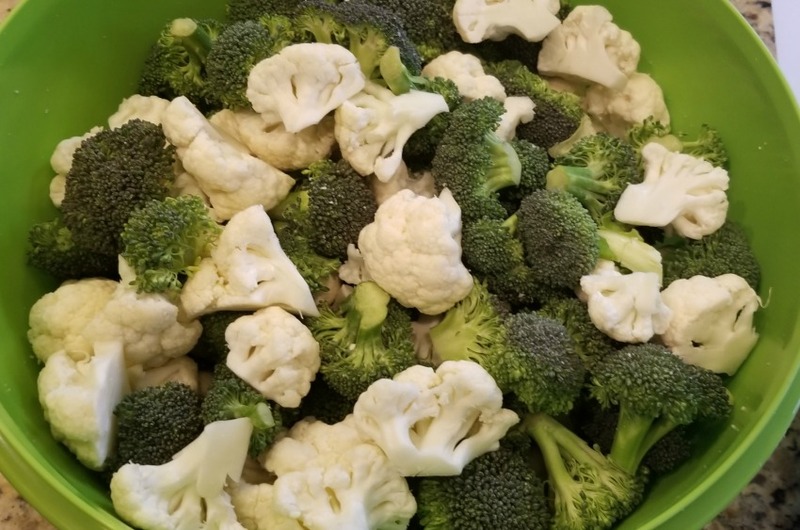 Empty both bags of broccoli and cauliflower in a large bowl. 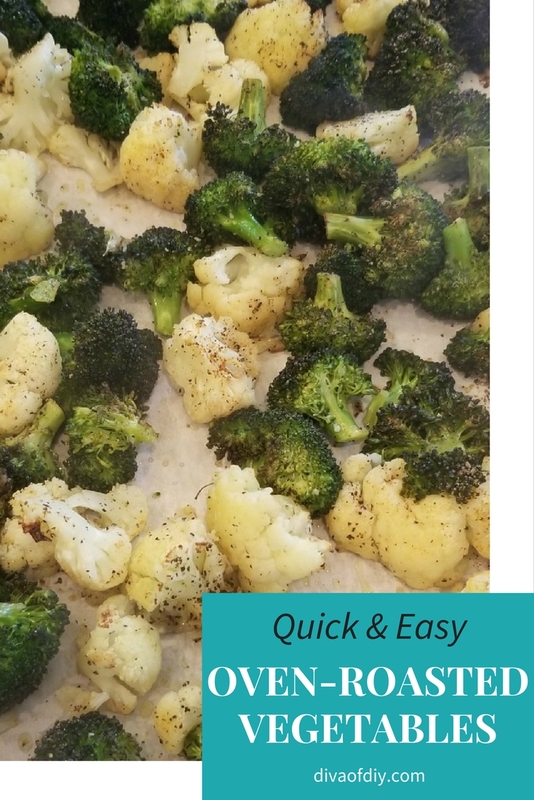 Drizzle olive oil over broccoli/cauliflower mix and toss to coat. Lay it out on a parchment paper-lined baking sheet. Sprinkle generously with this cajun seasoning. Bake at 450 degrees for 20 minutes, turning at the halfway point.